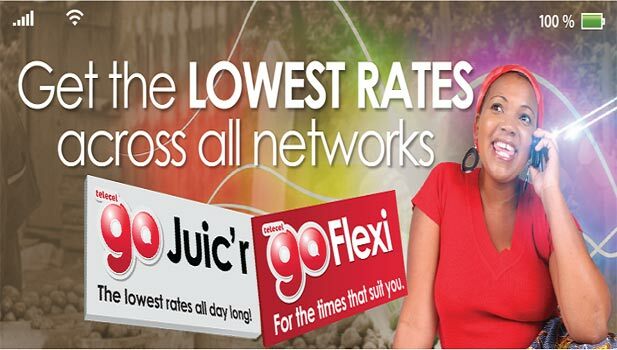 Telecel Zimbabwe is still out to give you reason to cross over to its network, this time its with a workaround for the absence of mobile number portability. The Telecel number matching service has just been unveiled as part of its Switch Over Campaign. This service allows new Telecel subscribers who are crossing over from other networks to keep the last 6 digits from their old phone number. The process involves verifying if the number you want is available. This can be done on the Telecel website or visiting any Telecel office. After verification, your number is reserved using your national ID number for a period of 48 hours. You are expected to register the number and activate it within this period otherwise it will be made available again. All this is Telecel taking another charge at growing its customer base by prying subscribers from competing networks while reducing the burden of switching, something that Mobile Number Portability (MNP) is supposed to do in simple way. Mobile subscribers have been waiting for POTRAZ, the telecoms industry regulator to introduce Mobile Number Portability. Not only does it give subscribers an option to move between networks, but even if there isn’t that much movement it increases competitiveness and customer service delivery. Just last year the regulator issued a notice to all network operators informing them of MNP introduction in 2014 with request for input from the operators in the process. It didn’t happen this year neither was it talked of throughout the year. Telecel is currently the second largest network with a subscriber base of approximately 3.3 million. With Zimbabwe having a national mobile penetration rate of 127% the market for new mobile phone users appears to have plateaued. In such a case the best growth strategy for Telecel has to focus on attracting subscribers from competing networks, specifically Econet and NetOne, that have respective subscriber bases of 9 million and 2.8 million. The Telecel number switching option sounds smart in that respect. However the rest of the promotion that comes with switching leaves a lot to be desired. Offering a subscriber who wants to top up with $5 (and is boosting your ARPU in the process) just 5 bonus minutes (Telecel to Telecel), 5 MB data (seriously), and 5 SMSes (thought they were being given away like confetti by every network these days) is less than feeble. Telecel has always had a reputation for being generous, something that appeals to subscribers that feel their current networks like Econet are stingy. So why not make it just as appealing to switch now as it has always been? Maybe its all an early adjustment to lowered tariffs that are around the corner and will mean less-than-generous promos? What are your thoughts on this option to switch? Will disgruntled subscribers from other networks flock to Telecel? Don’t see how to check my number off their website. Maybe they’ll get around to it, eventually, maybe, one day. Ok managed to read some fine print, http://specialnums.telecel.co.zw is the hidden link to check this out on. How do I register the line after reserving it? Do I have to visit an actual Telecel shop? Love the article for its clarity the real question as you have correctly asked is where is the value proposition in switching over? Telecel should be looking at companies like T-mobile in the US for inspiration.